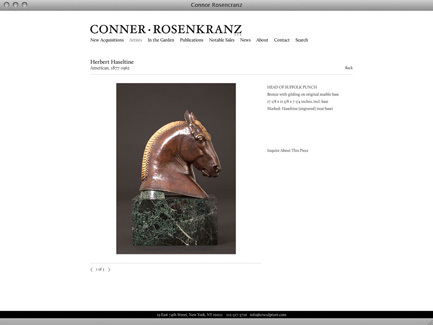 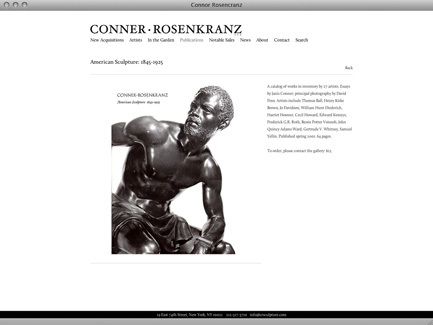 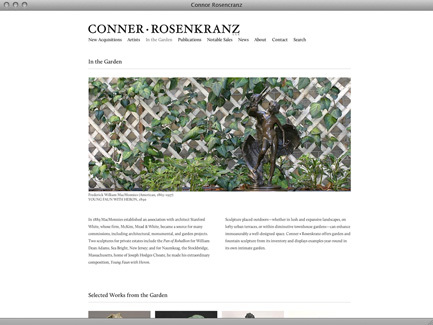 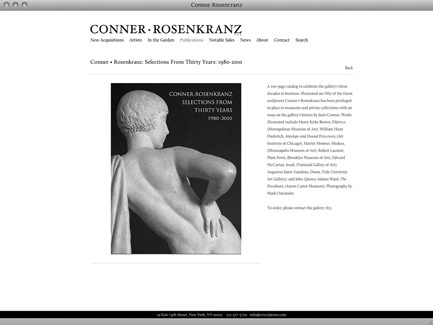 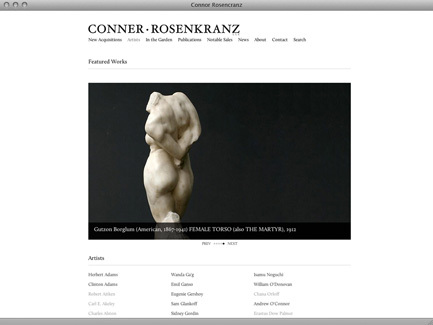 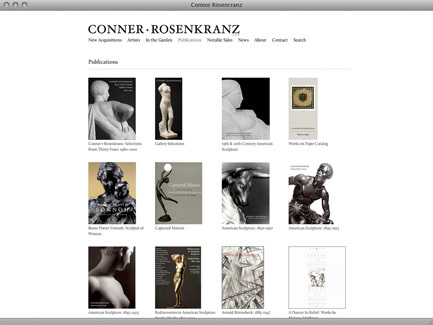 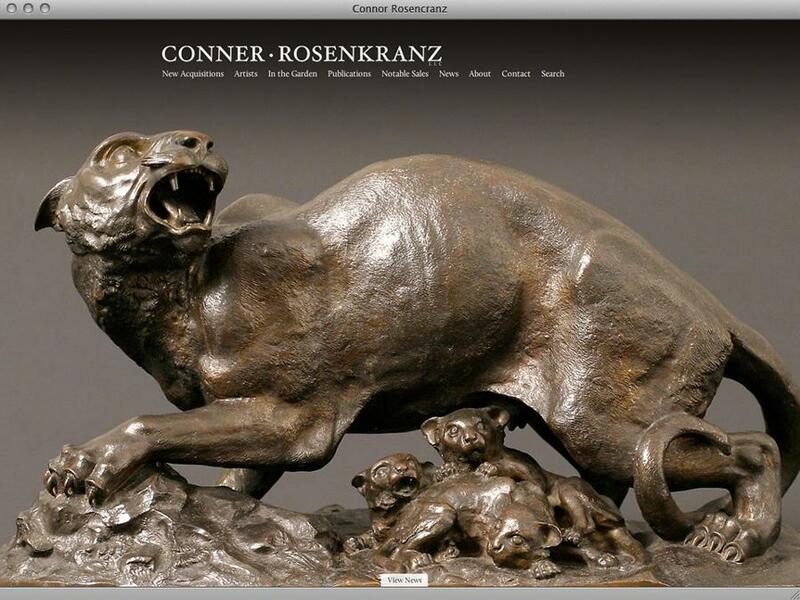 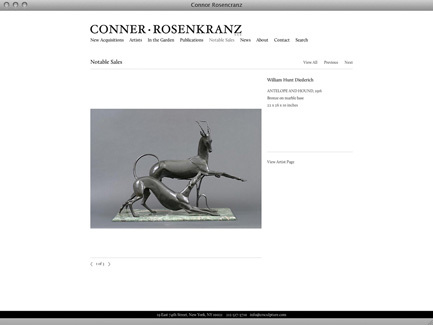 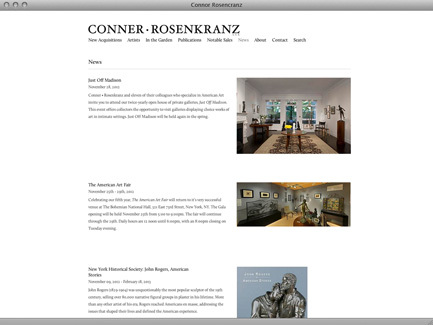 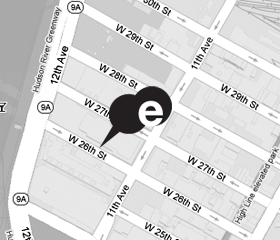 Established in 1980, Conner • Rosenkranz, LLC is a private gallery located on the Upper East Side of Manhattan and is open by appointment. 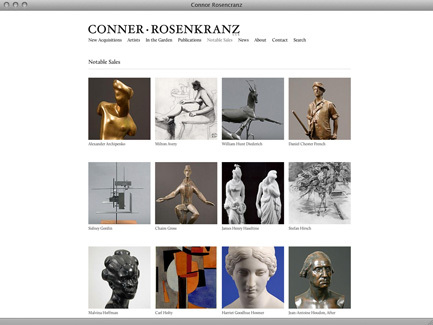 Janis Conner and Joel Rosenkranz are the founding partners. 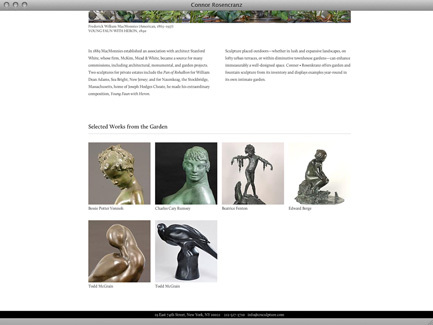 The gallery's emphasis is on 19th and 20th century American sculpture, including neoclassical, Beaux-Arts, and modernist works as well as garden sculpture from all periods.